The one-of-a-kind Hunter Original® motor promises years of quiet, trouble-free operation. This powerful motor features a cast-iron housing and a unique oil bath lubrication system that constantly lubricates bearings, virtually elminating noise and wear. 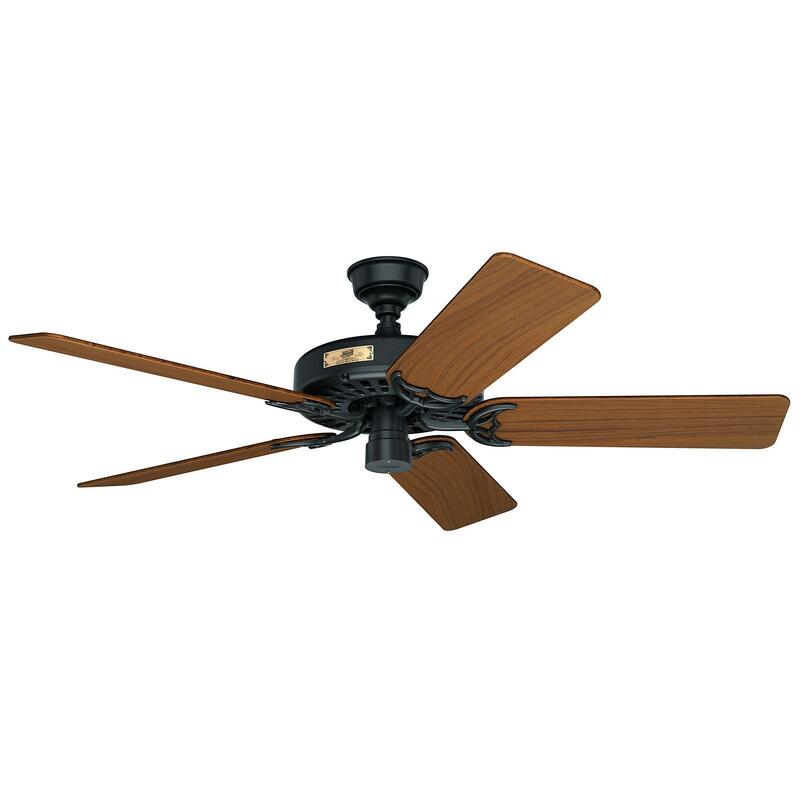 With the original canopy and a 52" blade span, this ceiling fan is ENERGY STAR® rated with a top of its class air movement. Damp rated for enclosed porches, covered patios and greenhouses with stainless steel hardware to resist rust. 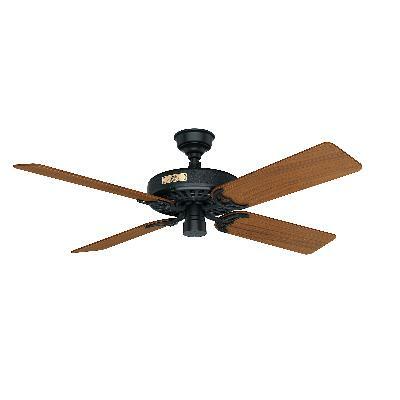 The classic original® can be installed with only 4 blades for a more traditional look.